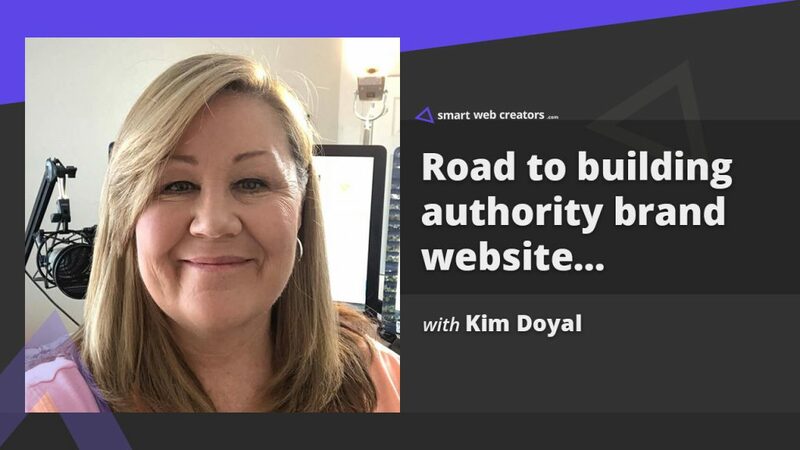 In today’s episode of Smart Web Creators, Davinder talks to Kim Doyal about the road to building authority brand website. Kim took her business from WPChick “The WordPress Chick” which concentrated on WordPress site building to content marketing with Kimdoyal.com. Everything that Kim does today around content marketing includes the hashtags #justshowup and #everythingiscontent. Kim created the closed Facebook group called Content Creators that grew quickly with engaged members who are committed to getting things done, sharing, and learning new things. The group grew because of Kim’s commitment to showing up and the group is a great community that participates and feels connected. 01. Personal vs Generic Branding: Which one? It is easier to hide behind a generic name than a personal brand. Self-awareness and commitment are needed to show up with a personal brand name. You will need to know what fundamentals you are ready to master and know what you are willing to do. You need to get past “imposter syndrome” to know that what you are putting out digitally is good. Content is important when building a personal brand. Do not be afraid to use a podcast as a relationship builder and know that you need to be able to give before you get. You need to have an audience to promote yourself. Do not concentrate on sales funnels or software – you need that audience to sell to and connect with. Do not be afraid to place an opt-in offer on your page. You have to be able to pick your priorities and be willing to change. Know that there will be a struggle and it may not be fun. Know what you minimum needs are and what you can commit to. Podcasting is a great relationship builder and a great way to show the value that you bring. This changes with the amount of time you have been in the industry. Be ready to send love and ignore the negativity. Thank you so much for having me on the podcast Davinder! Really excited for the future of this show and all that you’re doing. I love your approach to the questions (fun being asked something new 😉 ). Glad you liked questions and the overall show. Many thanks for coming on the show and wishes!